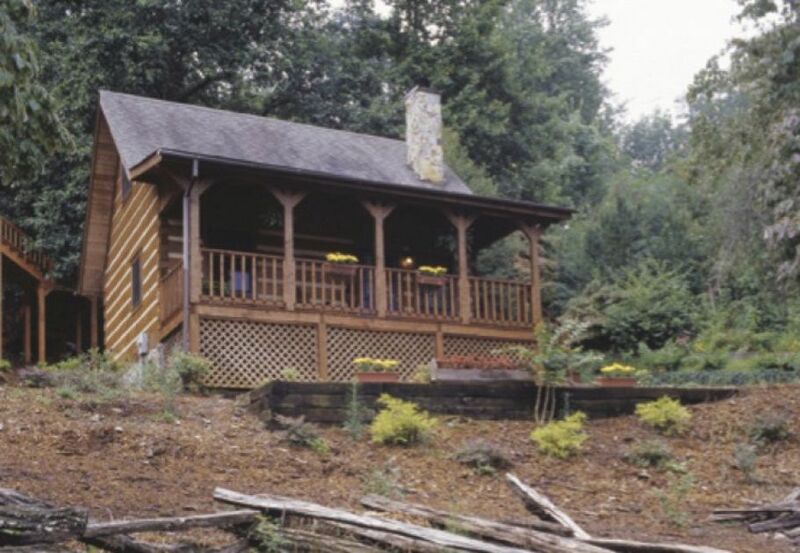 Escaping to a log cabin in the woods has often been the perfect retreat from the city; an opportunity to instantly awash yourself in the slower, satisfying pace of life that the countryside affords. Whilst many modern log homes are more like American suburban houses made out of wood, it is the simplistic nature of a log cabin which makes us feel like we have genuinely had a break from city life. 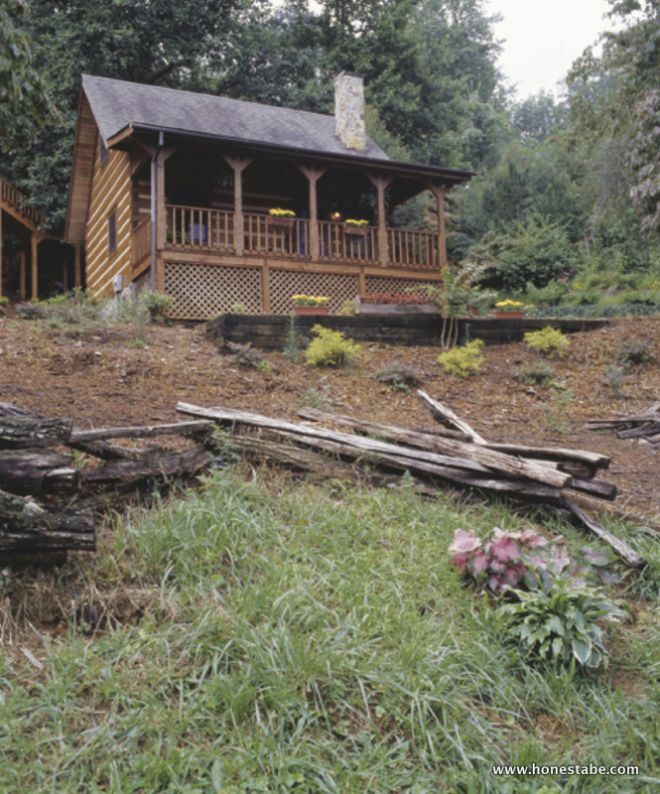 This cabin looks perfect on top of this hill, with the wood blending very naturally into the forest setting. 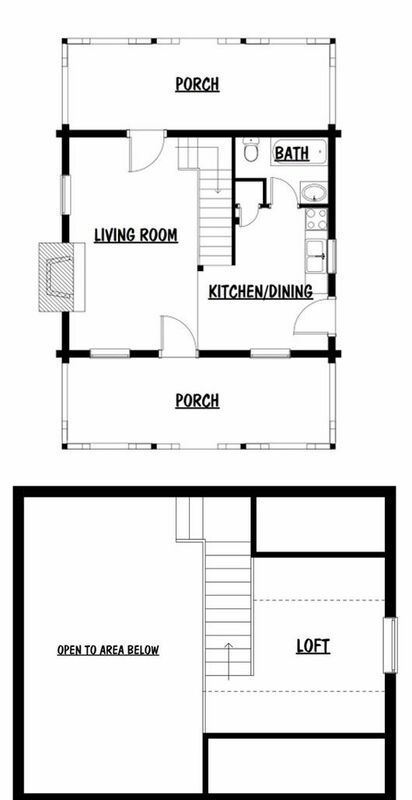 With a wide porch on the front and the back, Monticello invites its owners to enjoy the great outdoors. 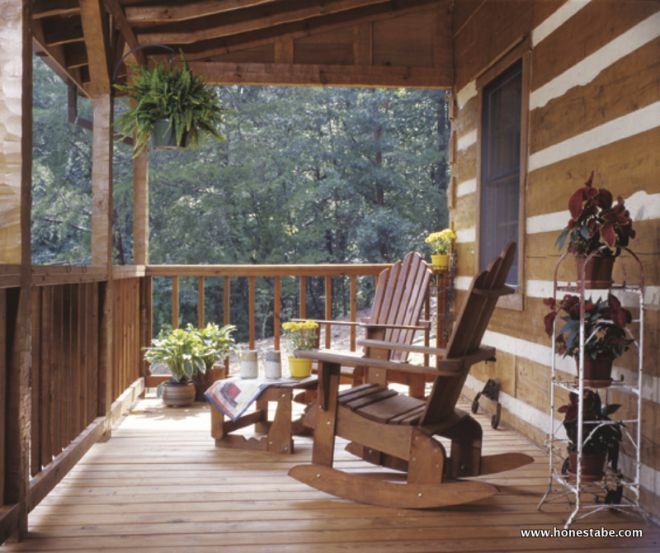 These deep porches on the front and back create a great outdoor living space for all seasons. Exactly as it should be in a log cabin - sitting on the porch, relaxing to the sounds of the forest. 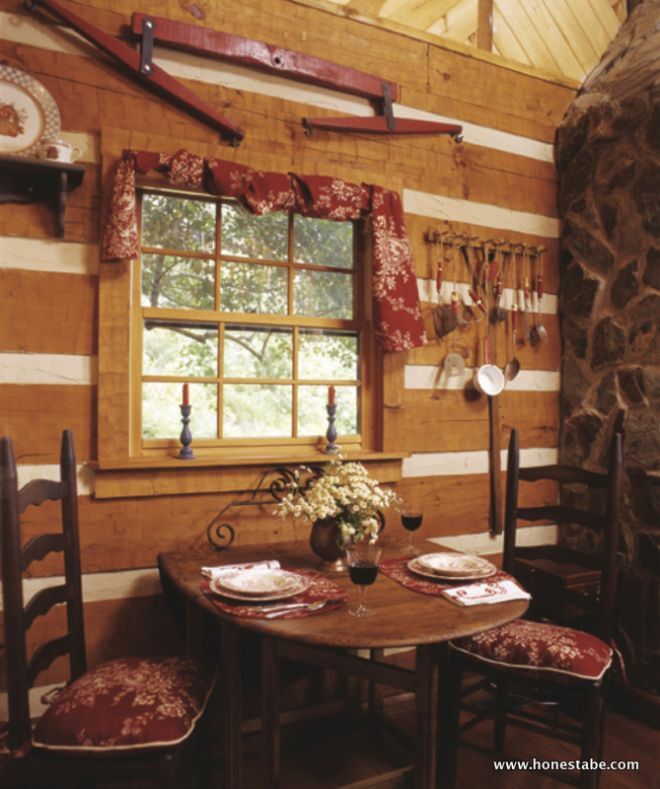 This gorgeous cabin is built with hewn log walls, which are an attractive feature throughout this log home. It is a beautiful use of the natural wood which does not require further decoration than the simple age in the grain. 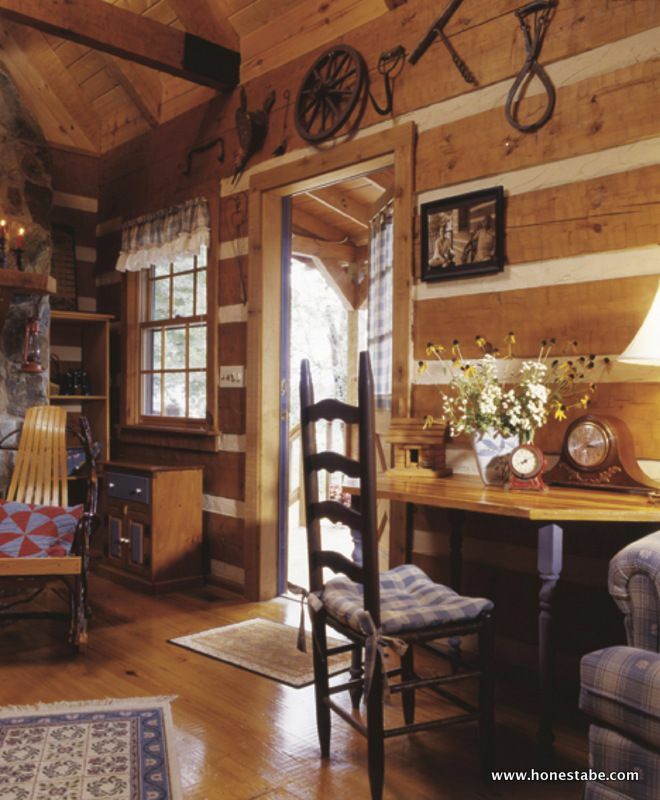 This cozy cabin is a perfect blend of natural light and wood. It is an inviting home with a cottage-like feel. Polished hardwood floors and a beamed ceiling add character to the building. 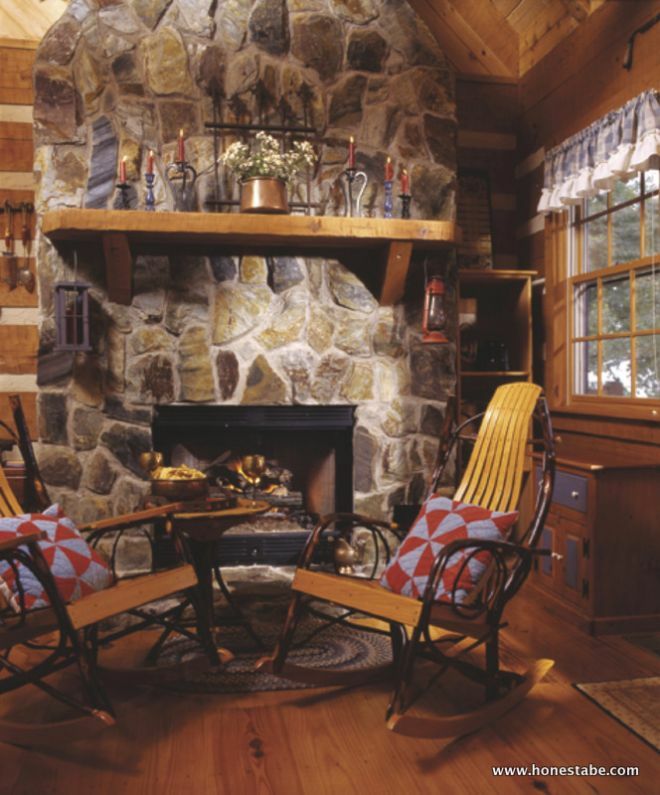 Historically, the fire was the heartbeat of every log cabin, and that sentiment has been ever present as we moved into the 21st century. Whilst effortlessly heating this ample-sized cabin, the fireplace is the perfect place for quiet conversation or to enjoy a good book. 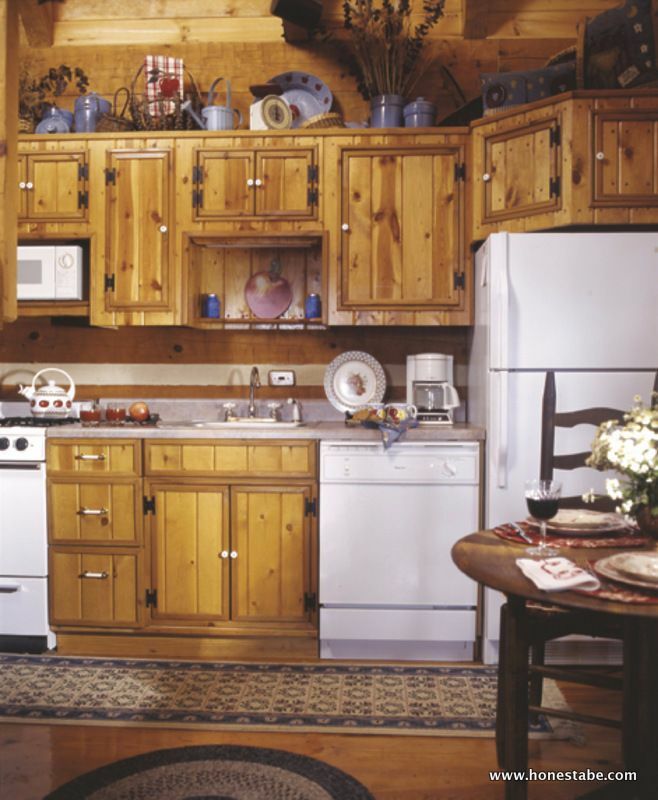 The country-style kitchen is the perfect blend of modern convenience and rustic design. The open floor plan means it is a sociable place to cook, whilst the abundant counter space and cabinetry make it an efficient place to prepare a meal. A small dining table near the fireplace is a cozy nook for a couple to enjoy a quiet dinner with an attractive view out to the forest. How romantic! 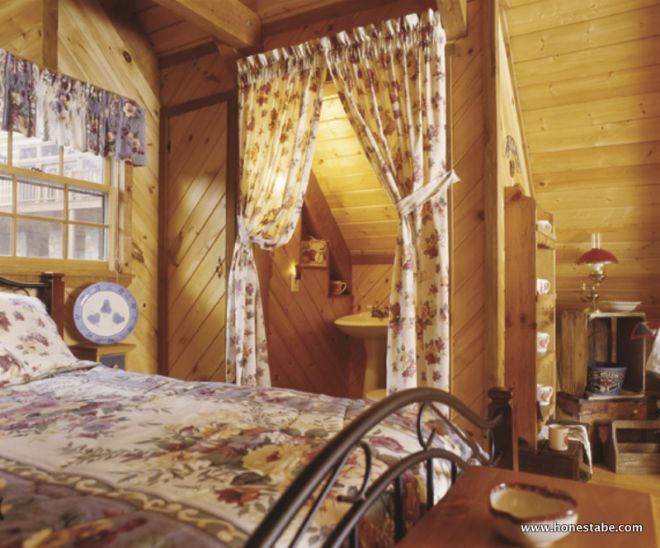 The bedroom - situated in the loft space - is a spacious place to sleep which can easily house the rugged furniture which complements a wooden cabin. The high ceiling makes this feel like a proper bedroom, rather than just a sleeping loft. Is this your idea of a cabin in the woods? 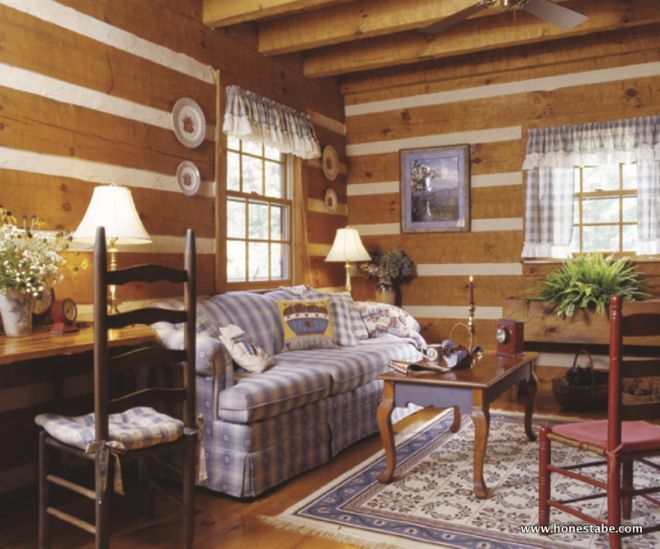 LIKE and SHARE on Facebook to spread the log cabin love!